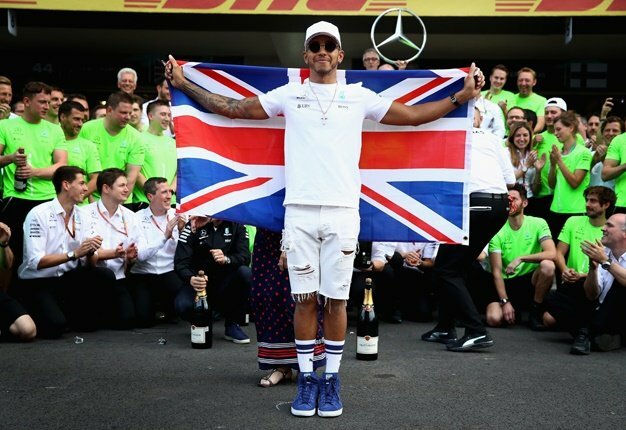 "It's great to see all the top brands - Audi, BMW, Mercedes - all heavily investing, but it's a difficult one because I'm conflicted," said five time world champion Hamilton. "The gasses we emit with our cars are not particularly helpful, so on one side that's a concern but on the other side, I'm a petrol head. "I hope at least in my time it's always going to be a fuel car with at least some sort of V-shaped engine with some sort of sound," the Mercedes driver added. Hamilton also said F1 and Formula E don't compare in terms of performance. "Maybe in five, ten years. But the technology that we have, it's quite far advanced compared to them. They're slower than Formula Ford at the moment so they've got a long way to catch the speed of a F1 car," he added. Red Bull driver Max Verstappen agrees with Hamilton, insisting he will be one of the people vying to "buy the last barrels of oil in the world".